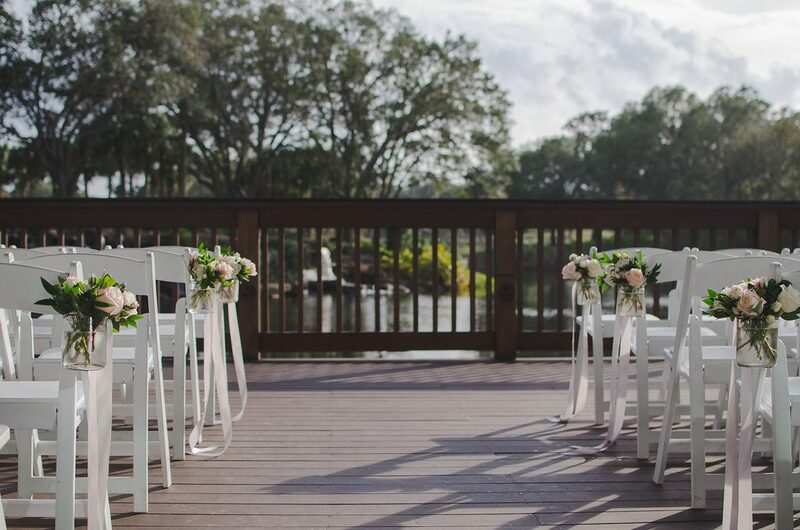 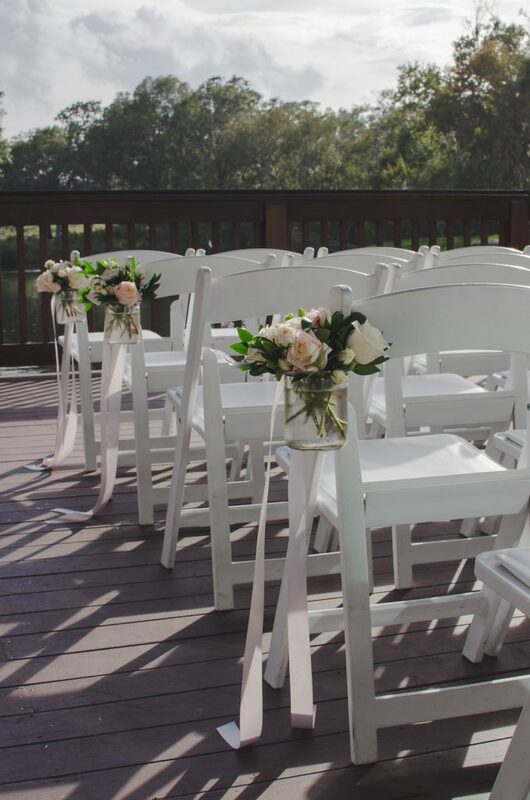 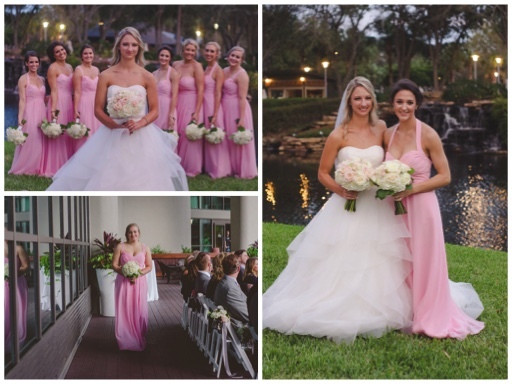 Catharine and Jacob were married in a beautiful outdoors ceremony followed by an elegant, romantic reception at Sawgrass Marriott. 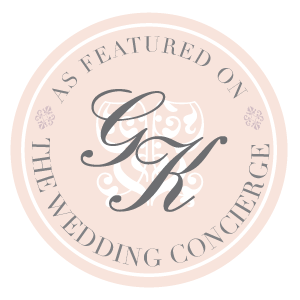 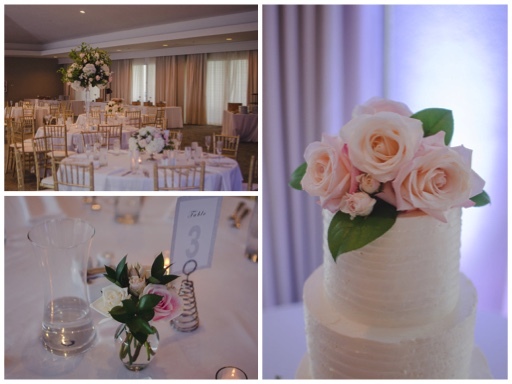 We loved working with Catharine to create her floral vision. 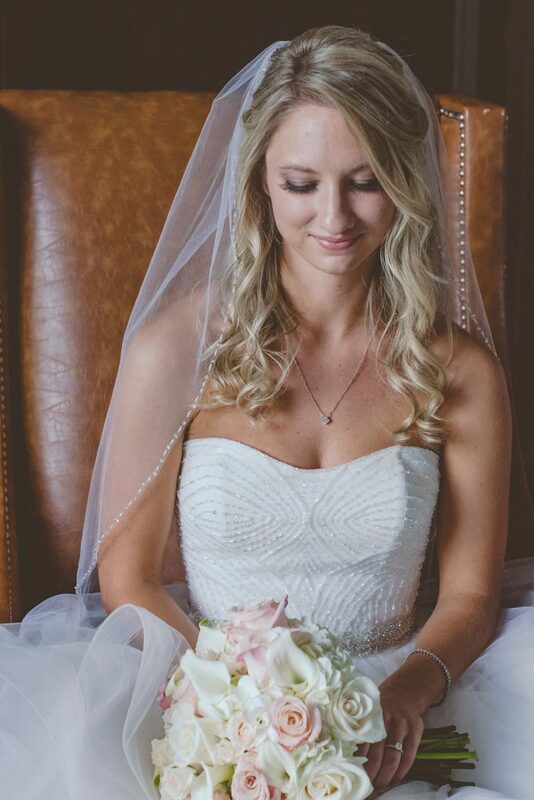 Catharine carried a stunning bouquet that was the perfect compliment to her beaded and tulle gown. 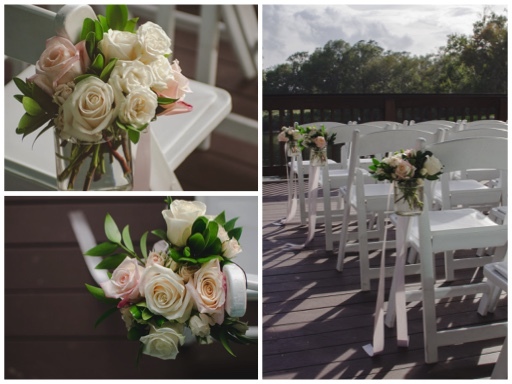 The bouquet was created with blush and ivory roses, white calla lillies and hydrangeas as the base. 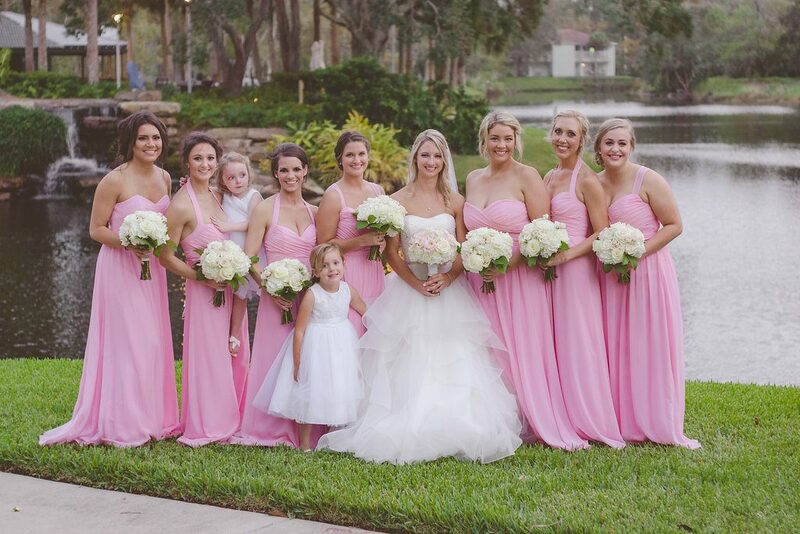 The bridesmaids’ bouquets were made of white, ivory, and blush roses tucked into hydrangeas and accented with sala tip foliage. 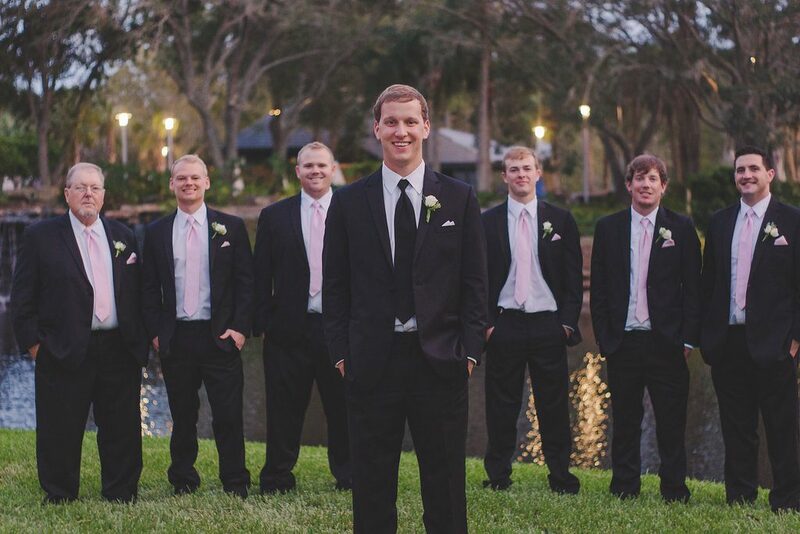 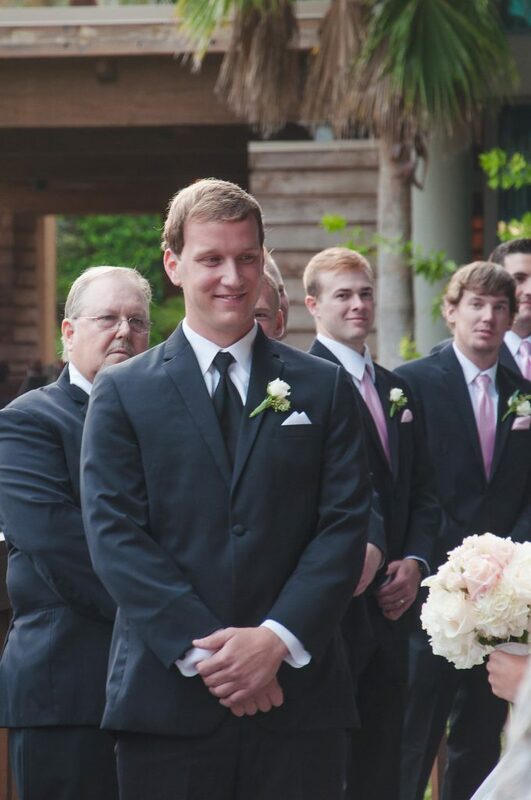 Jacob and his groomsmen wore boutonniers created with white spray roses and greenery. 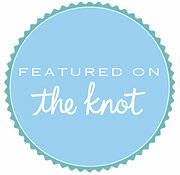 Catharine walked down an aisle lined with hanging glass vases with flowing ribbon streamers. 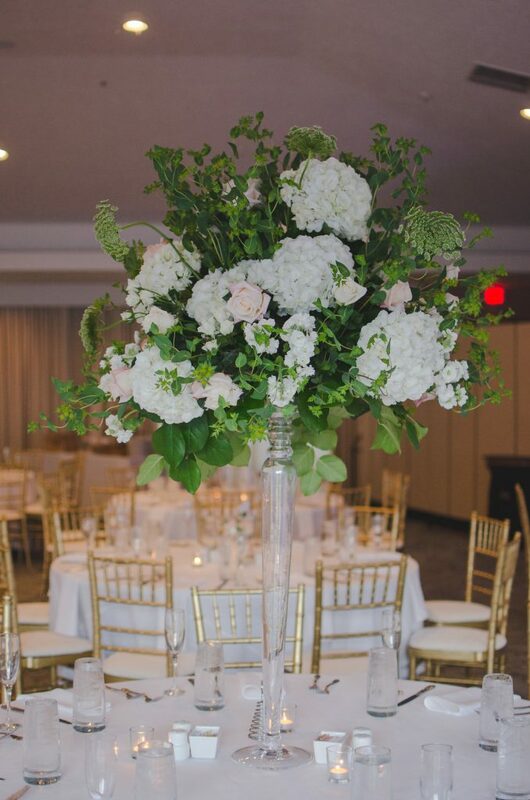 Each vase had ivory and white flowers with touches of blush. 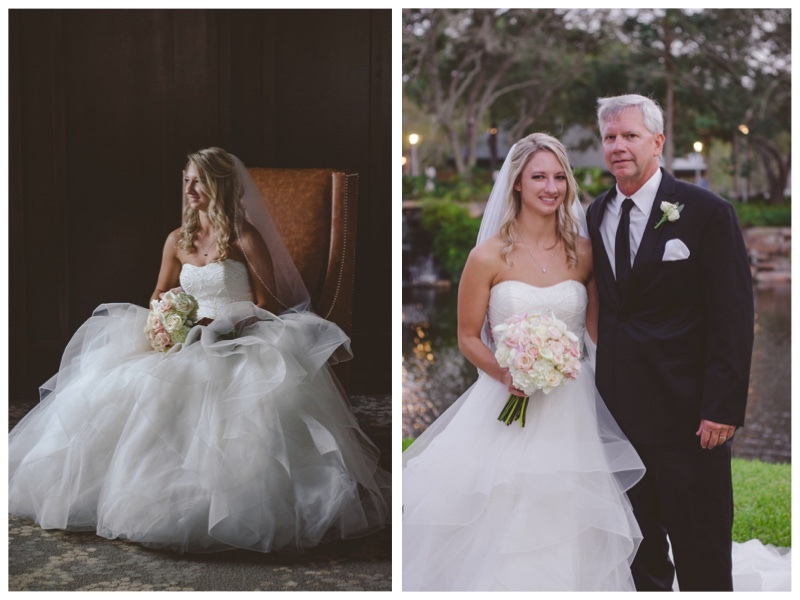 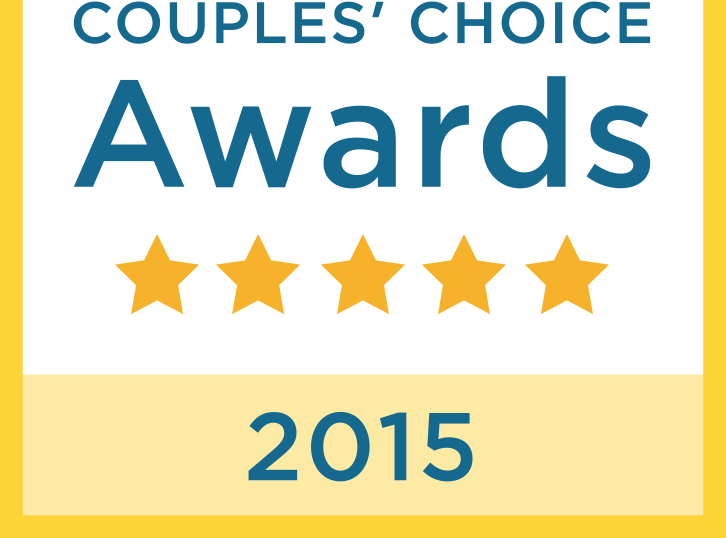 Catharine and Jacob had a stunning, classic reception. 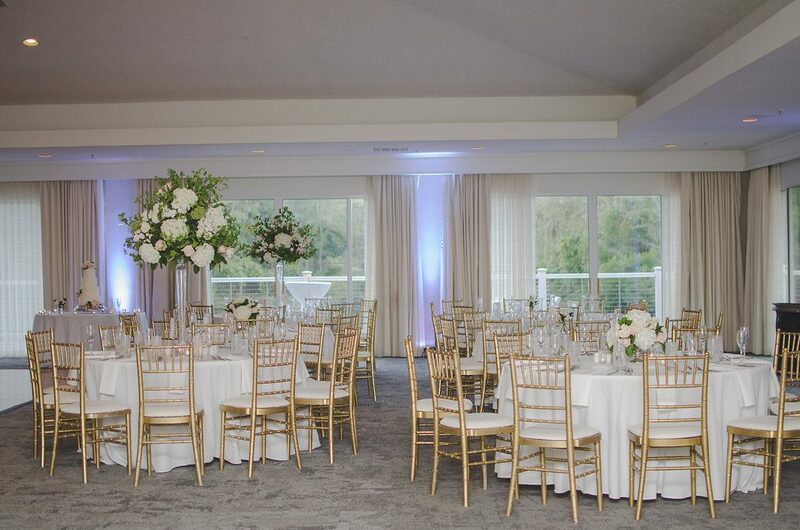 The guest tables had a mix of tall and low arrangments. 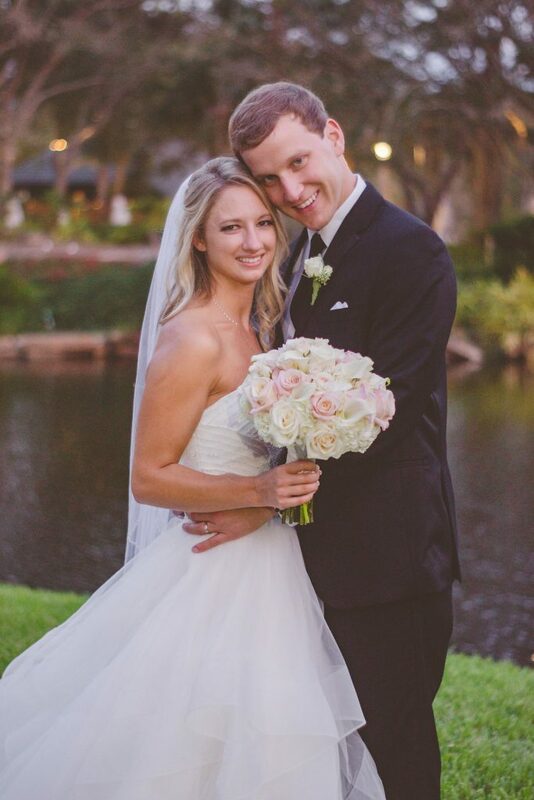 Stunning, romantic tall white, ivory, and blush centerpieces were surrounded by candles. 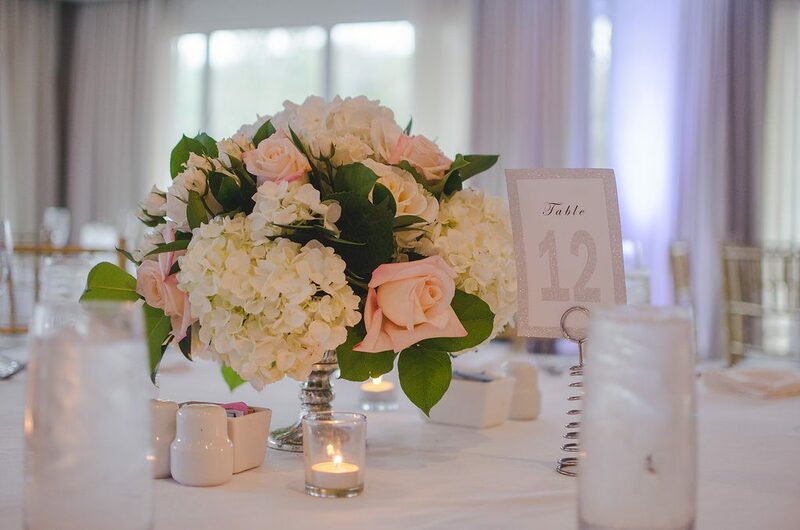 These centerpieces were created with hydrangeas, roses, spray roses, and mixed foliage. 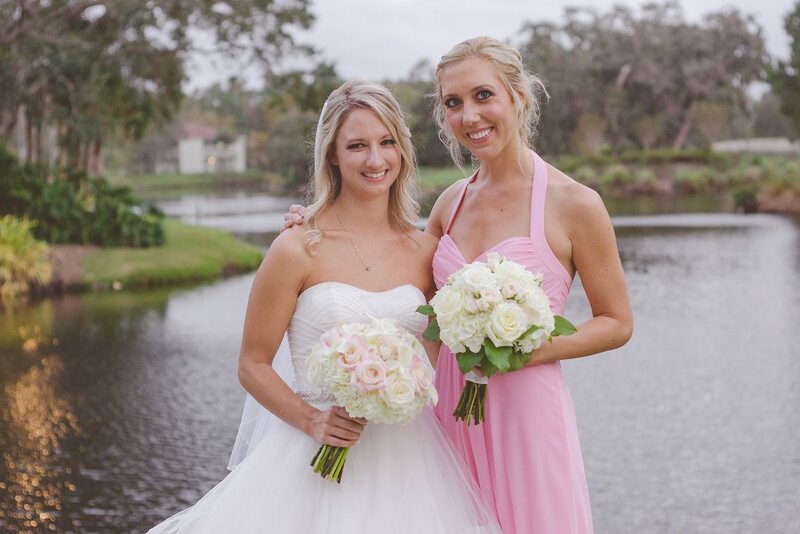 The low arrangments had white, ivory, and blush flowers in mercury pedestal vases.